Here at Smytham Holiday Park, we like to offer you the best value we possibly can and so we have come up with an Autumn offer to allow you to move into your new holiday home as soon as possible. The new ABI Oakley is on park now as we speak waiting for its new owners. It is located on no 32 which has its own garden and parking space. This home comes fully equipped with everything you will need to start enjoying your holidays in North Devon. It even comes with double glazing and central heating to keep you nice and warm in the up and coming winter months. 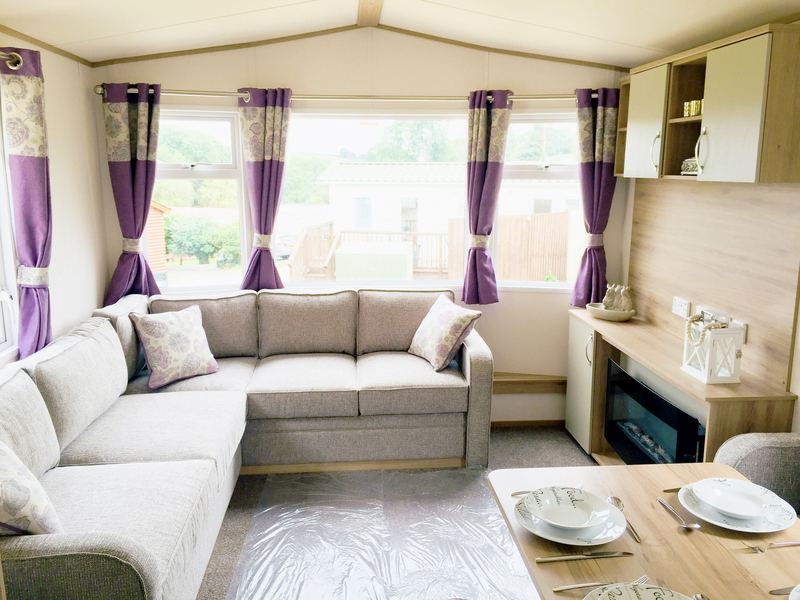 The total price would be £28,500 for a brand new ABI Oakley 32′ x 10′ 2 bedroom static caravan, fully sited and ready to use. The great news is that you could start using your holiday home straight away. The season at Smytham Holiday Park 50 weeks long with a closing period from Saturday 26th January until Sunday 10th February 2019 inclusive. To find out more about the ABI Oakley, please contact Tina on 07849 399 327 or contact us here.